A festive New Year’s Eve to you, and all good wishes for 2015! Last year, I presented a sort of photo essay recapping my 2013, so I’m trying it again for 2014. Without further ado, here is the much abridged account of what I did this past year. In January, I attended the Linguistic Society of America’s Annual Meeting in Minneapolis, a conference which inspired a couple of posts. I also went to the All-California Sacred Harp Convention, which was the first convention I ever led a song at, which means for the first time my name will appear in the annual minutes! I know, it doesn’t get much more exciting than that. January also saw the founding of Datvebis Gundi, our beloved UCLA Georgian chorus, which I’ve written about rather a lot. I also ushered in the new Year of the Horse (my year!) with some homemade pork, tofu, and noodles. 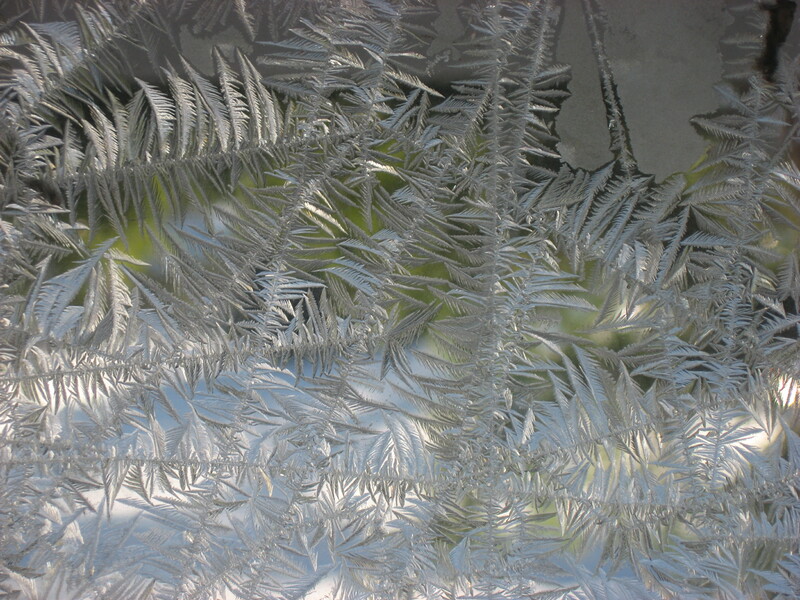 Frost patterns on my window, Minnesota, January 2014. No, this has nothing to do with anything. February was less eventful. I unveiled the Sparkers cover and, I don’t know, studied a lot of syntax, phonology, and semantics. Maybe. 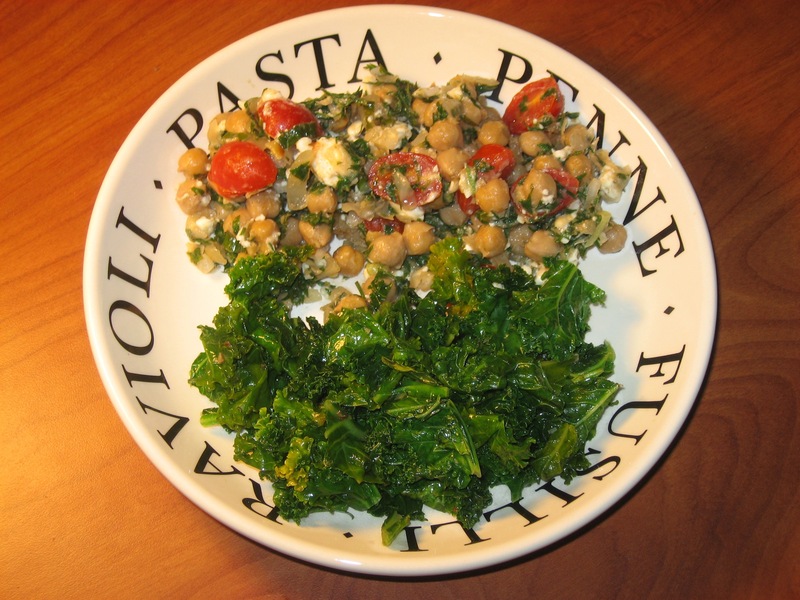 I also made this chickpea salad with carrot tops because what else do you do with carrot tops? 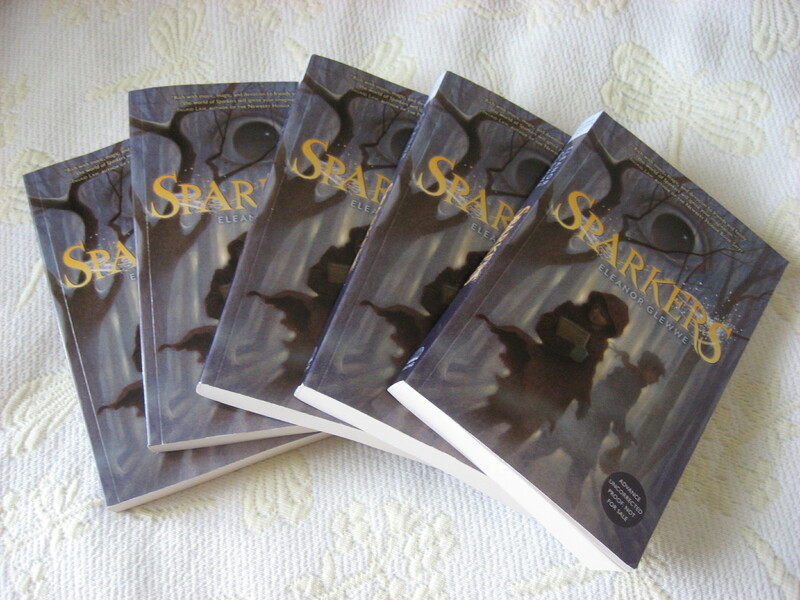 In March, Sparkers ARCs arrived. I also experienced my first ever earthquake! My family visited me for a really great spring break that involved Chinese-style lobster, a Shandong beef roll, and ramen. And I started writing Book 2. In April, it was National Sibling Day on Facebook. I watched a lunar eclipse and churned out copious amounts of words. Also, the now infamous (er, among choir members) article about Datvebis Gundi appeared in UCLA’s Daily Bruin. In May, I went to a splendiferous hurdy-gurdy concert and the LA Regional All-Day Sacred Harp Singing. 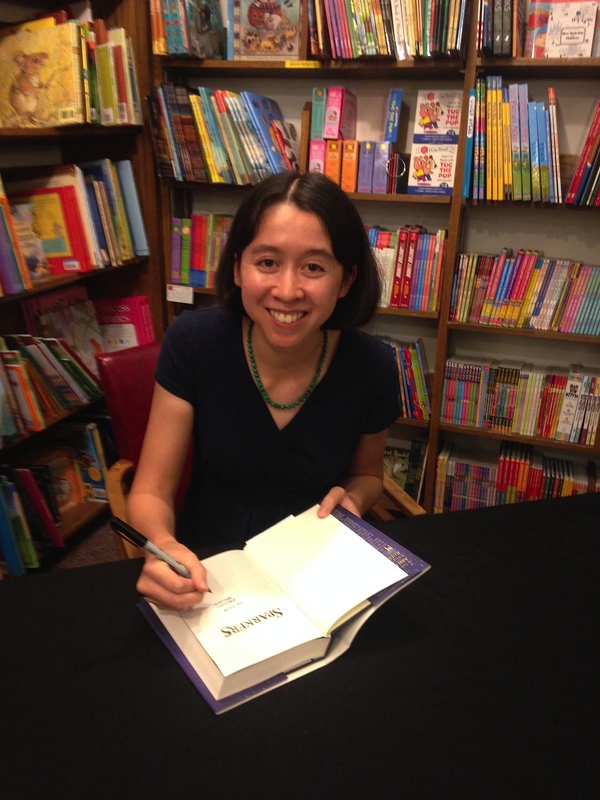 I also participated in the We Need Diverse Books campaign, which gained tremendous momentum over the following months and led to the founding of a full-fledged non-profit organization. You should check it out. 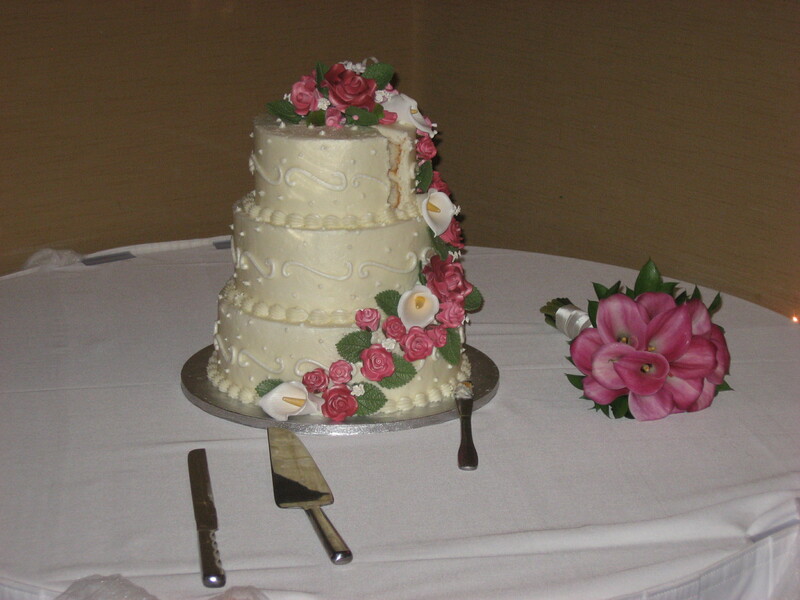 In June, I went to Minnesota for my cousin’s wedding. I also went to Northern Spark 2014 and rode the new Green Line train between Minneapolis and St. Paul for free on its opening night. I returned to Los Angeles just in time to move into a new apartment. 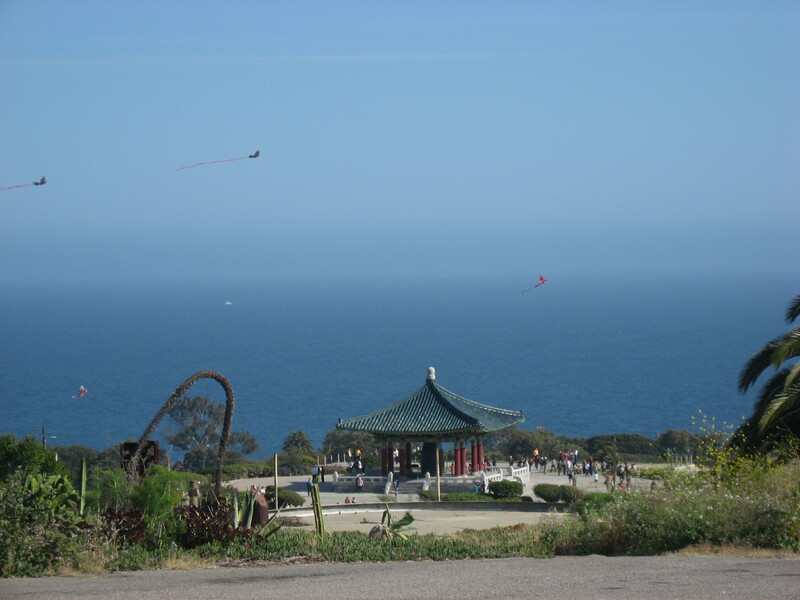 In July, I celebrated Independence Day in Los Angeles and went on various local adventures with my roommate. In August, I volunteered at the LA Food Bank and saw a Shakespeare in the Park production of The Taming of the Shrew in Griffith Park. I’m not very fond of that particular play, but it was a fun outing. A high school friend of mine visited me in LA, providing the perfect excuse to finally try the Persian food that is so plentiful in my neighborhood. Tahchin is really good, you guys. 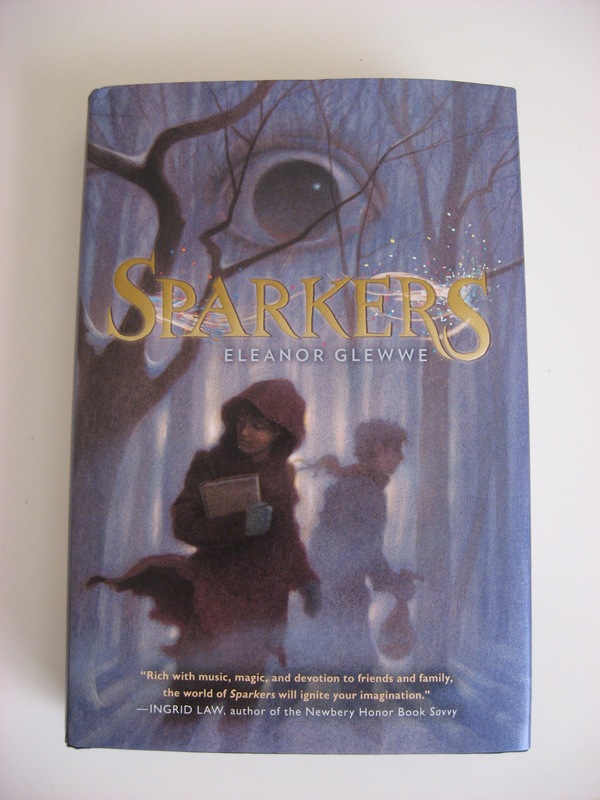 Also, a finished copy of Sparkers arrived! In September, I went to Minnesota for my cousin’s wedding. Before that, I went on an expedition to Chinatown for moon cakes. I had my launch party at Red Balloon and sang at the Minnesota Sacred Harp Convention. And on September 30th, Sparkers came out! I kicked off October by speaking to a group of creative writers at my high school, at the invitation of the librarian and my 11th grade English teacher. Back at UCLA, I began my second year of grad school. 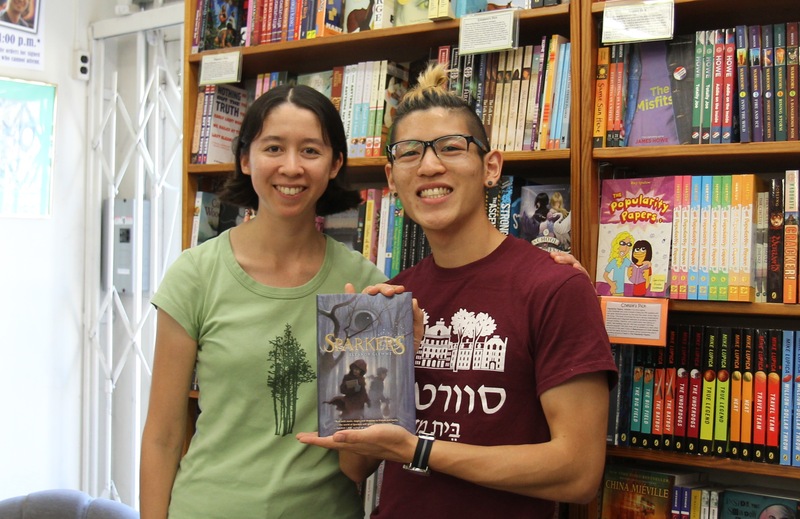 At the end of the month, I had my California launch party for Sparkers at Children’s Book World. In November, I threw myself into TAing undergraduate Phonology I, sketching the grammar of Maragoli (our field methods class language), and furiously revising the rough draft of Book 2. Oh, and after blithely tolerating a nice spider in our apartment for weeks, I killed it because my more uneasy roommate discovered it was a black widow. What with all the excitement, there are no photos from November. In December, I wrapped up all the fall quarter madness and returned to Minnesota once more. After a green Christmas, it finally snowed and got cold again, and I went skating and played (very amateur) hockey on one of the Minneapolis lakes. That’s it. Happy New Year! There is no snow on the ground in Minnesota right now, and the chances of our having a white Christmas are not looking good, unfortunately. Yesterday, my family went to the Christmas market in downtown Minneapolis. It’s in its first year, as it’s the replacement for the now defunct Holidazzle parade (think standing on the sidewalk in freezing temperatures watching giant figures made of Christmas lights bob down the street). 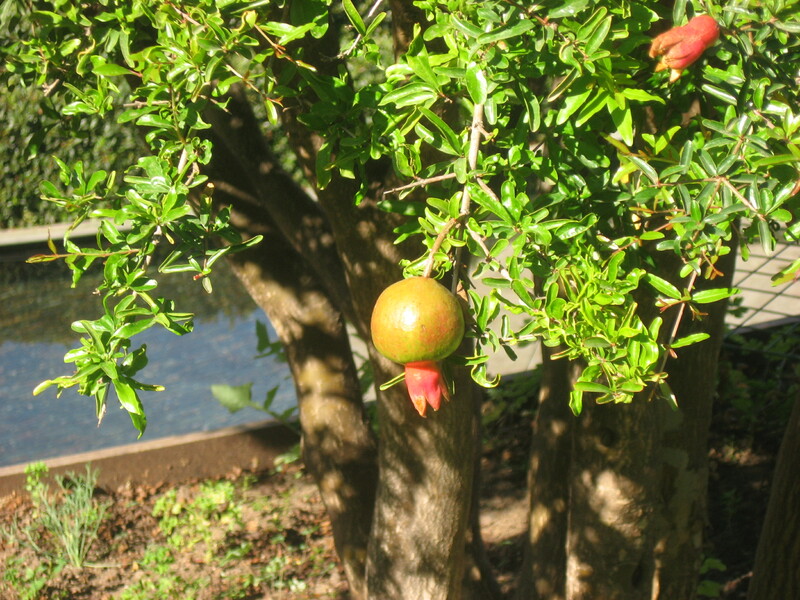 The market is in Peavey Plaza, a sunken courtyard next to Orchestra Hall. It wasn’t Europe (for the record, the only European Christmas market I’ve ever been to was in Colmar, in Alsace), but it was still worth the visit. 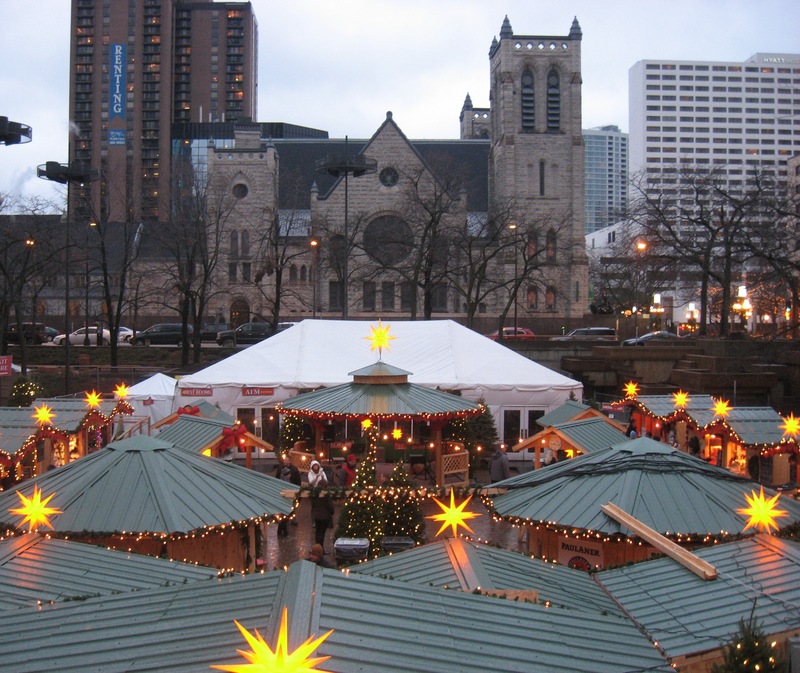 The market was festively lit, and the whole plaza smelled of glühwein. There were booths selling European (mainly German) crafts like lace ornaments and paper stars. And then there was the food! Bratwurst, weisswurst and Christmas sausage, potato pancakes, soft pretzels, apple dumplings, flavored maple syrup, hot apple cider, baked cheese, and more. I had some delicious buttered spaetzle with cheese. 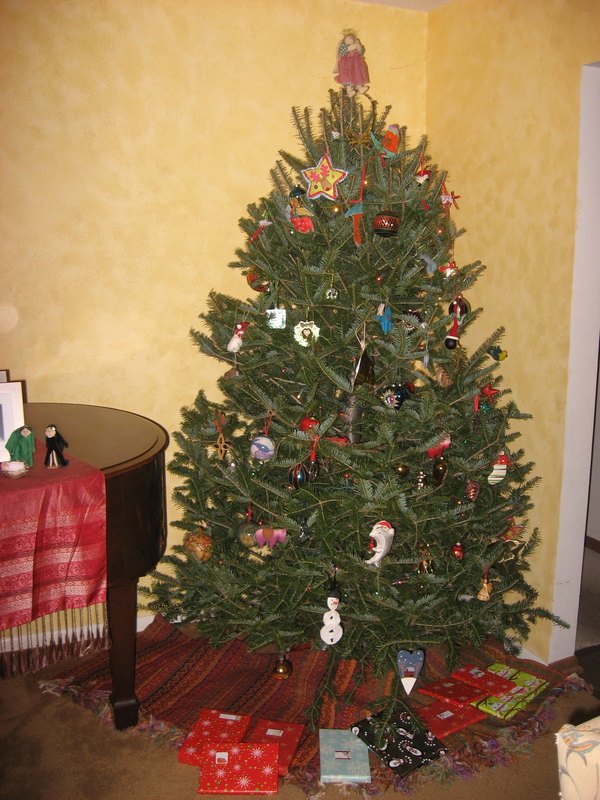 Merry Christmas to any celebrating! I’m off to listen to the live broadcast of Lessons and Carols from King’s College, Cambridge and to help prepare enormous quantities of food. Last Saturday, I attended the UCLA Early Music Ensemble’s fall concert. 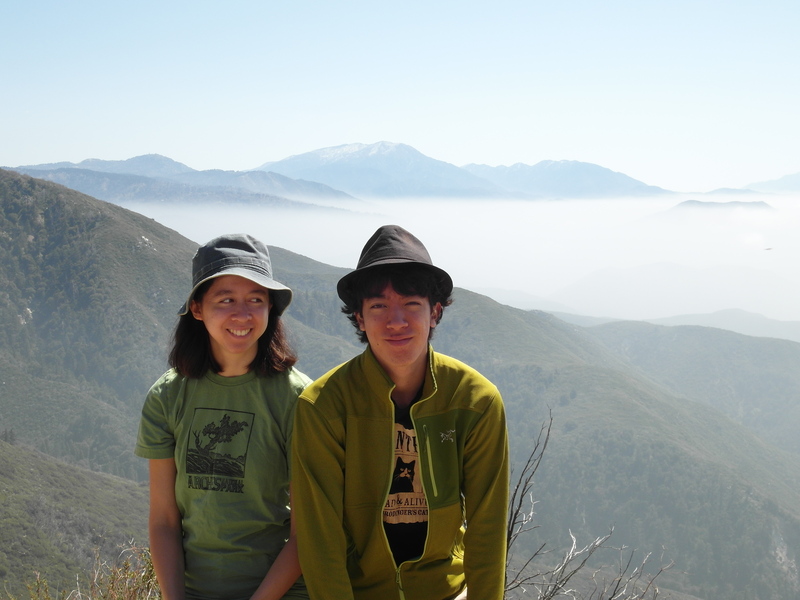 A friend of mine from high school who now also goes to grad school in Los Angeles came with me. The theme of the concert was “All About Bach.” It was, in fact, an all J.S. Bach program, except that Johann Kuhnau (Bach’s predecessor as Thomaskantor in Leipzig) and Johann Christoph Bach (a cousin of Bach’s) had a cameo apiece. The concert was held in the rotunda of the Powell Library, a beautiful building I don’t visit nearly often enough because it’s the undergraduate library (the graduate research library, meanwhile, is architecturally uninspiring). There’s pretty brickwork and mosaics and owls carved into the balustrades of the staircases. I listen to a lot of Baroque music, especially these days (listening to Part I of Handel’s Messiah on repeat is sure to get me through the last grueling weeks of the term, right? ), but it’s so much better to hear it performed live. It renews my enthusiasm for familiar pieces. Everyone in the ensemble was performing on period instruments, and at the intermission we were invited to go up and look at them. The Baroque cellos were beautifully crafted: one of them seemed to have a Templar cross inlaid in the black wood of the fingerboard, and the other’s scroll was carved into a lion’s head. And all the string players had Baroque bows. Something I learned at the concert was that Bach wrote a secular cantata about a father and his coffee-crazed daughter. We were treated to the daughter’s ode to coffee (“Ah! how sweet coffee tastes! / Lovelier than a thousand kisses”), and even if I couldn’t relate, it was amusing (and featured a dazzling flute part!). The ensemble performed some perennial favorites, including the second movement of Brandenburg Concerto No. 2, the third movement of the double violin concerto in D minor, and the entire Brandenburg Concerto No. 3. The piece by Johann Christoph Bach was entirely new to me, though (so was the composer, for that matter). It was a “death aria” entitled “Mit Weinen hebt sich’s an” (“It begins with weeping”). The text is basically about how every stage of life is miserable. Seriously, looking over the English translation in the program notes, I thought it had the makings of a shape note text: “Old age approaches, the sorrowful years, / that holds no pleasure” (cf. “And if to eighty we arrive, / We’d rather sigh and groan than live” from “Exit” in The Sacred Harp). I expected there to be a turning point at the end, something along the lines of Weeping, weeping, weeping…But! Jesus/heaven! but there isn’t really. I guess that part was assumed by the German Lutherans singing and hearing this piece. All that said, the music is gorgeous.